With Six Flags Great Adventure’s new Holiday in the Park event just 10 days away, the world’s largest theme park is unveiling another thrilling expansion for 2016 with the addition of Six Flags Hurricane Harbor’s Caribbean Cove, a fun and interactive water play area. “Hurricane Harbor is already home to some of the most innovative and extreme water slides on the planet, and in 2016 we are excited to offer families a spectacular, new area featuring tons of splashy playtime activities along with refreshing relaxation for children and their parents,” said Six Flags Great Adventure President John Fitzgerald. 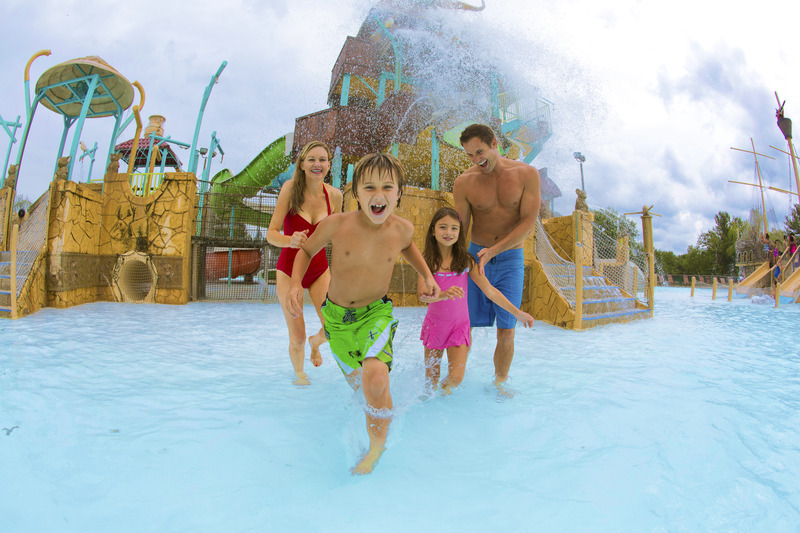 At Caribbean Cove, kids can play for hours, and parents can choose to join in the fun or watch while reclining nearby. The play area will be located between the Taak It Eez Ee Creek lazy river and Big Wave Racer slide complex and is slated to open summer 2016. Also coming in 2016, the highly-anticipated Total Mayhem 4-D, free-fly coaster debuting next door at Six Flags Great Adventure. The 45-acre Hurricane Harbor water park also features a million-gallon wave pool, a half-mile lazy river, more than 25 high-speed thrill slides and another massive children’s water playground. All attractions are included with park admission, Season Pass or Membership.